“An Alaska company is planning to be the first to ship massive amounts of fresh water to drought-plagued California, potentially as much as 10 million gallons a month,” so says a recently published article by USA Today. A former bottled water company executive, Terry Trapp (now CEO of Alaska Bulk Water), says his company has the rights to take up to 9 billion gallons of water from the Blue Lake in Sitka, AK. He would ship fresh water from #Alaska via tankers to help relieve the drought in California. However, California water experts are doubtful of the cost efficiency of this option. “Ideas like this ‘are technologically feasible but economically unreasonable,’” says Peter Gleick of the Pacific Institute, in the #USAToday article. The #PacificInstitute is a global water think tank based in Oakland, CA, and he believes there are many such ideas about shipping #freshwater without understanding the cost issues involved. Sustainable water management must look at all facets of water sourcing. While it may be possible to provide water distribution from other areas of the country, the cost of that distribution and associated environmental impacts must also be considered. We may be able to bring water to drought stricken areas, but at what cost to the planet? 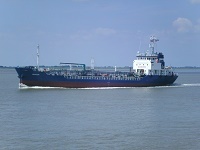 What will we be adding to #globalwarming by burning fossil fuels in the tanker ships and trucks that deliver the water? While you may not pay shipping costs for your water, you may be paying the price with your #health. Water2Drink can help you decide which Multipure filter is the most effective and economical choice for you and your family’s needs. *To eliminate waste, the Multipure AquaRO Reverse Osmosis Drinking Water System requires a Zero-Waste kit. All RO systems waste as much as 12 gallons of water for each gallon produced. However, the Zero Waste kit allows every gallon to be used. So, you’ve decided to purchase a drinking water filter to use in your home. 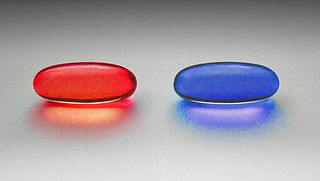 How can you easily and effectively evaluate all of the choices in today’s market? Does it hold #NSF International performance certifications? What are the number of #contaminants this filter is certified to reduce? What is my price per filtered gallon? Reputation – How long has this manufacturer has been in business? The answers to these and other frequently asked questions will help pinpoint a high quality, reasonably priced drinking water system such as a Multipure Drinking Water System. The information you gain in researching these questions will help you answer why you need a water filtration system (Questions 1 and 2), the financial savings and the return on your investment of a #Multipure filter (Question 3), and the health and stability of the manufacturer in regards to both the product and the mission of the company (Questions 4 & 5, warranty and returns, and Question 6-reputation). Once you begin to look at a Multipure Drinking Water System, you will soon understand what makes the Multipure family of products superior to other products in the marketplace, and why the investment is a lifelong commitment to your health. Contact Water2Drink.com today and let us answer any additional questions you may have about a Multipure Drinking Water System. You may have read previous blog posts by Water2Drink about the Safe Drinking Water Act (SDWA), the importance of water quality education, and reading your local water report. We like to bring our customers the latest in water news and provide resources for you to monitor and advocate for locally provided clean water. The Environmental Protection Agency has a new user friendly website that presents enforcement data about SDWA drinking water violations. This service, called ECHO (Enforcement and Compliance History Online) “contains interactive charts and graphs that provide information regarding the compliance of public water systems with federal drinking water regulations, as well as enforcement actions,” according to the EPA press release dated 4/7/2015. While the information provided by EPA’s ECHO drinking water dashboard is an overview of the regulatory activities of #EPA by states, tribes, and territories, it does provide the opportunity to “View More” additional charts and data by using the menus at the top of each section. Users can also access and download detailed data from each chart. Additionally, the dashboard provides information not only on public drinking water systems, but also provides data on “Air,” Hazardous Waste,” and “Water” as well. Water2Drink believes knowledge is power, and becoming an educated consumer allows you to make the best choices about water filtration. Not all #waterfiltration systems are created equal, and we recommend our customers use an NSF-tested and certified Multipure Drinking Water System in their homes to ensure your family’s protection. Visit the “Resource Center” on our website, Water2Drink.com, to learn more about evaluating drinking water filter solutions and to identify the best products for your needs. This week, Multipure International announced an important enhancement to the Aquaversa (MP750) and Aquadome (MPAD) Drinking Water Systems. These two models are now certified under NSF’s new Standard 401, “Emerging Compounds/Incidental Contaminants,” to greatly reduce emerging contaminants that are occurring in water sources today. These compounds include #pharmaceuticals such as pain relievers and blood pressure medicine, hormones, herbicides and pesticides, and other chemicals used as flame retardants and detergents. NSF International surveyed more than 1,000 American consumers, and those surveyed indicated that of the emerging contaminants, #pesticides and herbicides were of greatest concern, followed by prescription drugs, detergents, flame retardants, and OTC medicines. According to the survey, these emerging contaminants were ranked by consumers as being of significant concern to their health. #Standard401 addresses all of these contaminants, and now the Aquaversa and the Aquadome are NSF-certified to reduce them. Multipure continues to improve its solid carbon block filtration technology to increase its effectiveness and to provide consumers with products that address current and emerging needs in water filtration. Water2Drink.com is proud to be an exclusive distributor for Multipure, and we strive to provide our customers with updated information and assistance in solving your water filtration needs. Contact #Water2Drink today and we can help you determine which Multipure drinking water system is right for you. Does Your Local School Serve Toxic Water? California has myriad water woes, and here’s another one to consider. Seven years ago, the local NBC4 I-Team investigated Los Angeles area schools that had children drinking from potentially unsafe water fountains. The schools had old fountains and pipes made with lead that leached into the drinking water. Today, thousands of schoolchildren in L.A. are still drinking from these fountains. The NBC4 story states the Los Angeles Unified School District (#LAUSD) would solve the problem by having the water lines to each fountain flushed daily, running the water for a minimum of 30 seconds at the beginning of each school day. The schools were to keep logs for proof that the lines were flushed. But a 2013 audit report says one #school was found to have falsified the logs, and an additional six schools claimed they had followed the policy but in fact hadn’t. Lead leaching from older pipes and fixtures is a chronic problem in older buildings like schools, and this problem can occur in any school district in the country. The problem is exacerbated when communities use chloramine to disinfect their water, which accelerates #lead leaching. Chloramine is a disinfectant that is formed by mixing chlorine with ammonia. It is a less effective disinfectant than chlorine, but is longer lasting and stays in the water system as it is transported to the point of use. The solution? Carry fresh, filtered water from home, using a Multipure Drinking Water System from Water2Drink. The #Multipure family of drinking water systems are all tested and certified to reduce #chloramine, along with dozens of other contaminants, metals, PCBs, and cysts. Using a Multipure system for your drinking water costs just $.09 cents a gallon, and provides assurance that you are using a superior water filter in removing or reducing the highest number of contaminants. Water2Drink.com is happy to answer your questions about choosing the best #waterfilter for your family’s needs. Give your kids a head start by giving them clean, Multipure-filtered water. Recently, we received feedback from our customer, D. Dixon, about our website: “I'm really liking your website. Full of great information, especially the links to the EWG water quality data and the cross reference to filters by chemicals treated.” Today, Water2Drink would like to highlight some features of our website that may help you with your water filtration purchase. Our website, Water2Drink.com, is full of useful information regarding the entire Multipure family of water filtration systems. We believe that this information is critical for our customers to become better educated on how Multipure’s solid carbon block filter is superior to other technologies on the market. We encourage our customers to explore our website in depth to learn how and why the #Multipure products are so highly effective at #contaminant reduction. EWG U.S. Tap Water Quality Database. This link (under “Useful Links” on the bottom of our home page) takes you to the Environmental Working Group’s National Drinking Water Database. On this page, you can enter your zip code and/or your water company’s name, and the Database will provide the results of testing done by the water company. It will specifically list the contaminants that exceed health guidelines in your own water supply. Knowing this information, you can use our Detailed Product Information link (described below) to pinpoint the #water filtration system that will best meet your needs. Detailed product information. We provide a link to every Multipure product’s Specification Sheet (describing benefits, features and specifications), Performance Data Sheet (providing the list of contaminants reduced), and Owner’s Manual (including Warranty, Installation, Operation and Maintenance information). These links are located under “Product Manuals” in our Resource Center, and are especially helpful in determining which system will address your specific needs. They also provide advance information for your plumber or installer, should they have any hardware, fittings, or installation questions. The Multipure Challenge. This link is located in our Resource Center, under the “How a Multipure Water Filter Works” tab. The Multipure Challenge is a cross reference list of common, harmful contaminants and the filter technologies that address them. Only Multipure’s solid carbon block filtration system effectively reduces all contaminants, while not eliminating the naturally occurring, healthful dissolved minerals. We at Water2Drink.com are passionate about Multipure products for a healthy lifestyle, and we are happy to share our knowledge with you. Contact us with your questions or comments. We’d love to hear from you! We here at Water2Drink.com want to be sure you have the information you need to make an informed choice about your water filtration system. We want to talk to you, our customer, to gain insights into your water filtration needs, such as how many people will be using the filter, what type of water resource serves your area, and any potential health hazards in your water supply that must be addressed. We strive to help you obtain the most efficient, cost-effective Multipure Water Filtration System to meet your personal needs. We often receive inquiries about using a reverse osmosis (RO) water filtration system. Many people are under the mistaken belief that, if removing dissolved contaminants is healthful, then removing ALL dissolved minerals will be even more healthful. This is simply not the case. While there are times when an RO system is exactly what is needed, most often an #RO system will remove the good with the bad, according to University of Wisconsin health family medicine physician Jacqueline Gerhart. If you were to compare the pros and cons of an RO system, you would find the list to be somewhat unbalanced. Very briefly, here is a short list of pros and cons that we came up with to help you understand that sometimes less is more. While certain circumstances dictate the use of a Multipure AquaRO drinking water system, most often your health goals can be better met by another Multipure product family. Contact #Water2Drink today to ask questions and get answers to help you decide what is right for you. Is Your Filtered Water Cloudy? It’s that time of year again, when the snow is blowing, the wind is howling, and your water is… cloudy? Probably the single most asked question we get in the wintertime from our customers is, “Why is my filtered water cloudy?” Water can be cloudy for two reasons, one that is benign and one that can be very bad. The benign answer is: it’s just air. If you are using a high quality point-of-use water filter, such as a Multipure Drinking Water System, you may be surprised to see cloudy or milky-looking water coming from your filter. This most often occurs when the water is cold (coming from cold ground water or being transported underground through cold pipes). One of the properties of water is its ability to dissolve gasses, including #air. Cold water is denser than warm water, and therefore it is capable of holding more dissolved gasses. The cloudiness or milkiness is simply dissolved air. You can test this by filtering a glass of water and letting it set on the counter for a moment or two. The cloudiness (air) will dissipate upwards from the bottom of the glass, leaving a glass of clear filtered water. Of course, you must use a quality water filtration system such as a #Multipure filter to remove particulates and contaminants. But just how does this filtration work? For contaminants having a physical size, the solid carbon block filter provides mechanical filtration on a submicron level to remove particulates and bad tastes. It also employs electrokinetic adsorption to attract and control charged particles. Almost any carbon filter can reduce chlorine and address taste and odor problems. The Multipure solid carbon block technology goes well beyond aesthetic improvements to remove the broadest array of #contaminants, including turbidity. Each product in the Multipure family is provided with a Performance Data Sheet that details NSF’s product certification data and contaminant reduction test results. Water2Drink.com sells only Multipure Drinking Water Systems, the highest performance water filtration systems, which lead the industry in innovation and improving filter performance. We at Water2Drink.com are here to answer all your water questions and help you select the right filter for your needs. Last week, we talked about how to protect yourself from waterborne microbial cysts. This week, the world of water filtration has a new Multipure product to address current concerns about transmittable disease by #bacteria and viruses as well. At the Multipure 2014 PURE Annual Convention in Las Vegas, NV, Multipure International introduced the Aqualuxe, a bold, innovative departure from their other product families. NSF P231 – bacteria and virus – 6-log reduction of bacteria (99.9999%) and 4-log reduction of #virus (99.99%) – this is a very big deal! We have not seen another product quite like this currently on the market. The expected retail price is $1,080, and the replacement filter cartridge is $150. 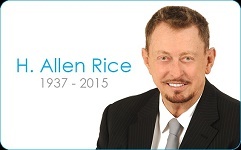 This is a remarkable departure from past products for Multipure. They introduced this product concept several years ago to their distributors, and #Multipure has been working hard to bring it to market ever since. It’s exactly what is needed for communities that constantly receive “boil water” alerts, which is happening with increasing frequency, or for anyone who is concerned about the growing #contamination problem in our nation’s water supply. Multipure has the product on display at their company headquarters, and a select few test marketers have an “ACE” beta version to provide valuable feedback to Multipure. Multipure is still in the process of obtaining NSF certifications and refining their manufacturing and supply processes, and they estimate that the product will be ready to ship in early 2015. 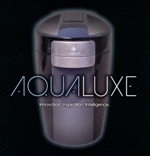 In the meantime, Water2Drink.com will soon be updating our website with this new product information, and you will be able to register to be notified when the Aqualuxe becomes available. Finally! A comprehensive water contamination solution for your home! 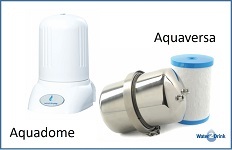 If you are looking for an appropriate Multipure Drinking Water System for your home, you probably have looked at the Aquaversa family of products. In researching the entire Multipure product line, you may have noticed that the Aquaversa MP750 model and the MP1200EL model appear to be identical, with only the addition of a Capacity Monitor on the MP1200EL. What is the difference between these two filter models? This is a common question that we hear many times from our customers, and here is an explanation of the key difference. As you may know, all Multipure Drinking Water Systems have been tested and certified under NSF drinking water filter certification rules. Under these rules, the manufacturer is permitted to claim only 50% of the "test capacity" of the filter. The test capacity of the Aquaversa MP750 is 1,500 gallons, so NSF’s "rated capacity" for that model is 50% of those gallons, or 750 gallons. The logic behind this is, since customers are not measuring actual water usage, NSF wants to establish a wide margin of error for when the filter cartridges are replaced. 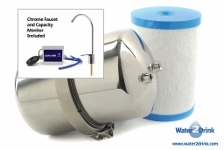 If, however, the manufacturer includes a "performance indication device," such as the Capacity Monitor included with the Aquaversa MP1200EL, and the customer can measure the actual water usage to more accurately time filter cartridge replacement, the manufacturer can claim 80% of the test capacity. For the Aquaversa MP1200EL, that's a rated capacity of 1,200 gallons. Generally speaking, Water2Drink.com recommends the MP1200EL model for families of four or more, and for office or higher volume environments. Otherwise, consumers should plan to replace the filter cartridge annually, which also will serve to maintain the manufacturer’s lifetime housing warranty. Please contact us if you have any other questions regarding how to choose the best Multipure product for your home! While Julia Roberts in the “Erin Brockovich” movie is able to make sense of Chromium 6 chemical contamination in a small town’s water source, life isn’t a movie for families who are affected by this issue. Fortunately for some, California has become the first state to impose a limit on hexavalent chromium (also known as Chromium 6). But what if you live with this issue (or another prevalent water contamination source) and your state has not imposed limitations or restrictions? The most effective drinking water filter solution for consumers with very specific water contamination issues is the Multipure AquaRO Reverse Osmosis System. It is an ultrafiltration system that can remove contaminants such as barium, cadmium, chromium (both hexavalent and trivalent), copper and dissolved solids (such as sulphur, iron, calcium and magnesium), fluoride, nitrate and nitrite, perchlorate, radium and selenium. If you have a specific water contamination issue, contact Water2Drink.com to find out how you can reduce your exposure to toxins. We can help you pinpoint the water filtration system that will meet your needs and your budget. The bottled water industry has exploded over the last decade. The effectiveness of the bottled water marketing campaigns has led the general public to believe buying their product is the safer, more convenient way to consume purified water. But you can’t believe all the marketing hype. Thanks to the Environmental Working Group (EWG), here are some reasons to skip bottled water and find another solution. 2. 2. What’s in the Water? In 2008, the EWG found 38 pollutants in 10 brands of bottled water. The bottled water industry, unlike water utility companies, rarely discloses the results of contamination testing on its product. Yet they claim that bottled water is as safe as tap water. “Given the industry’s refusal to make available data to support its claims, consumers have little reason to be confident in the purity of bottled water,” says the EWG. 3. 3. Plastic Pollution. As consumption continues to rise, the U.S. Environmental Protection Agency estimates that only 29% of plastic bottles were recycled in 2011. This leaves 71% of plastic pollution to pollute waterways, clog landfills, and threaten marine life. So what is the solution? Filter your tap water and use a reusable bottle. 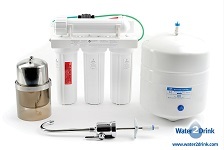 There is a wide range of water filtration products to fit every budget and each water concern. A Multipure solid carbon filter, tested and certified to NSF/ANSI standards, provides consumers superior water filtration to deliver healthier water. 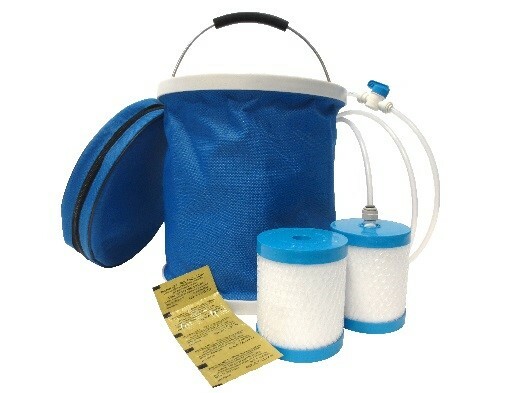 At Water2Drink.com, we can provide you with affordable, effective alternatives to bottled water. Our Resource Center has product information, performance data and warranty information to help you select the most effective water filter to fit your needs. Call or visit us online today to explore the hidden costs of bottled water. Let’s begin eliminating harmful bottles from our world and the planet! Oh, no! Your community just issued a boil water alert due to a water main break, and the authorities don’t know how long it will last. What will you do to protect your family? 1. 1. Fill the collapsible bucket included in the WET System with tap water to the designated level. 2. 2. Add the disinfection tablets that are included in the WET system, stir until dissolved, and then let the water stand for a few minutes. 3. 3. Screw the provided plastic fitting into one of the two Multipure EF8 emergency carbon block filters included in the WET System. 4. 4. Attach to the fitting the plastic tubing provided in the WET System, and make sure the shutoff valve on the plastic tubing is closed. 5. 5. Place the bucket on a tabletop or other raised surface and put the EF8 filter inside the bucket, letting the other end of the plastic tubing extend well below the bucket. 6. 6. Place the open end of the plastic tubing into a suitable container to collect filtered water. 7. 7. Let the filter soak for a few minutes and then open the shutoff valve on the plastic tubing. 8. 8. Let gravity pressure do the rest. In very little time, fresh clean water will begin flowing through the EF8 filter and out the plastic tubing into the drinking water container. 9. 9. When the source water bucket is empty, refill and repeat the process as often as needed until safe water service has been restored. The WET System becomes your backup drinking water source in case of emergency. The Multipure WET System requires no electricity, hand tools, or anything else except water. Everything you will need is included in the kit. How do you obtain a Multipure WET System? This product currently is not offered for sale, however, it’s available for FREE when you purchase a new Multipure Drinking Water System for your home or office. Click here for more information about this limited time offer, available from Water2Drink.com. Prepare now, and be ready when a water emergency strikes in your neighborhood! It’s Graduation Season! High school. College. If you have a graduate in your life, you know it’s an exciting time. While they may be home for the summer, hopefully they are moving onward in the fall to bigger and better things. To college. To a new apartment. To a new city. Give them one last gift – the gift of great health! As your graduate packs for their next destination, consider sending them off with a portable Multipure Aquamini drinking water filtration system. The Aquamini is a compact, high performance carbon filter designed to improve the quality of any municipal water source. It’s convenient and easy to use, quickly connects to most faucets, and sets on the countertop next to the sink. The replaceable filter cartridge is rated for 250 gallons before requiring a change, which should easily serve the #graduate for a couple of semesters. 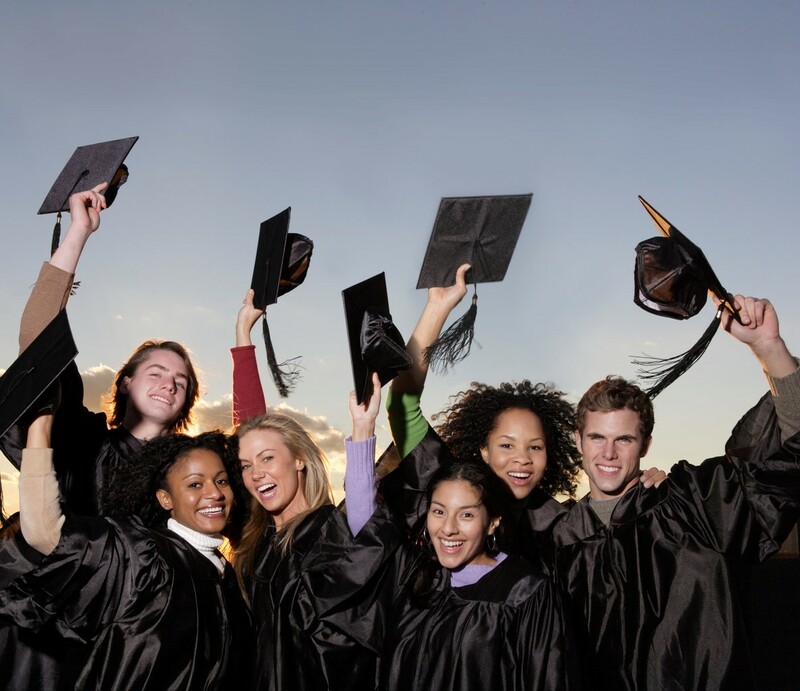 Send your graduate out into the world with the superior drinking water only available from a #Multipure Drinking Water System. Plentiful free, clean water to drink every day will help your graduate stay hydrated and save money. Are you concerned about the quality and safety of the water you ingest? Tired of buying expensive bottled water? Unsure of the source of your bottled water? Concerned about the amount of plastic water bottles in the environment? If you said yes to any of these questions, you may be ready to consider buying a water filtration system for your home or office. As you begin your research into point-of-use water filtration, #Water2Drink.com is pleased to provide a new resource that will help you decide which #waterfilter is right for you. We maintain a Resource Center that contains product performance data, health information and useful tips that will help you choose the proper filter for your needs. Recently, we added a new checklist, “Take the Multipure Challenge,” that can serve as a reference for comparing Multipure solid carbon block filter systems to other water filtration technologies. 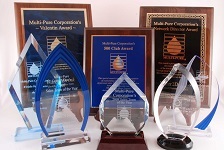 Not all filters are equal, and Multipure International is an industry leader in the water filtration market. The #Multipure water filters with their superior performance are backed by independent #NSF International testing and certification, and have been cited as superior products by Consumer Reports and Consumer’s Digest magazines. In addition, Multipure has a 44 year history of leveraging its extensive research and development expertise to produce a truly superior solid carbon block water filter. Water2Drink.com is here to answer any questions you may have about water filtration and the Multipure family of water filtration systems. We are pleased to assist you as you research the best solution for your needs.